We have exciting news! The Garden has partnered with two of our best suppliers: Bower & Branch and Monrovia! This way, if we don’t have a specific tree or shrub you are looking for, no problem, their entire inventory is at your fingertips. Simply choose your tree selection(s) and it will ship to us for FREE! 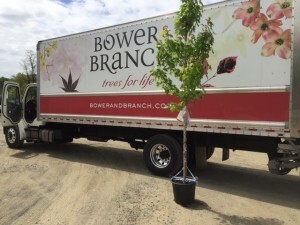 We know that buying mature trees and shrubs online is a new concept, but they stand behind their tree and we guarantee your satisfaction! Visit Bower & Branch Visit Monrovia – Bring Nature Home!